Johnny Manziel, in an interview with Outkick the Coverage’s Clay Travis, mentioned he wants to have a career in sports in some form or another. If his playing days have truly come to an end, then he might even consider a career in coaching if it comes to it. Manziel had a short, troubled time in the National Football League. 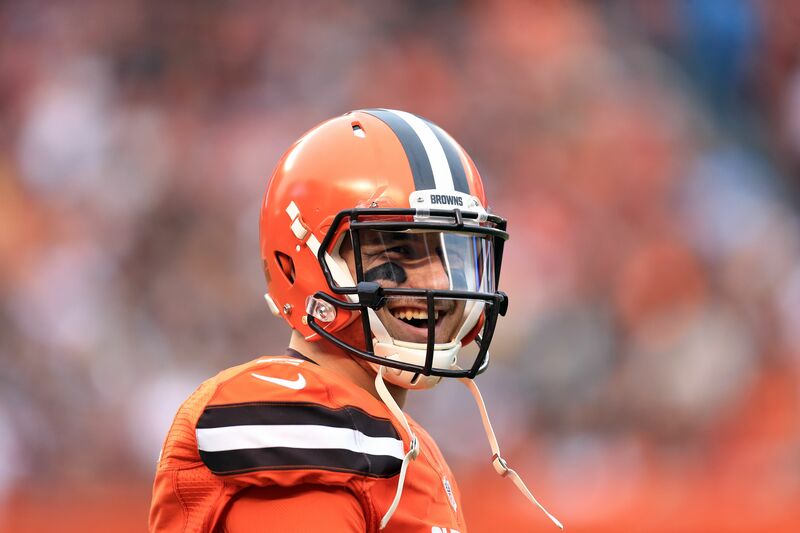 After a fantastic college career, where he won the 2012 Heisman Trophy, Manziel was drafted in the first round of the 2014 NFL Draft by the Browns. He started a total of eight games in two seasons before being released after the 2015 NFL season. Rumors and allegations of substance abuse, uncontrollable partying, and even domestic violence were filling the news waves. In addition to only starting eight games in two years, Manziel’s record as a starter was 2-6. According to Pro Football Reference, he had a career completion percentage of 57 percent, a 1:1 touchdown-to-interception ratio, and 6.5 yards per passing attempt. When Travis asked Manziel about coaching, Manziel stated that he would probably coach in college, which is not much of a surprise. Manziel had great success throughout college, and that success just did not follow him to the NFL. The interview is an hour and a half, so have your phone charger ready. While it is long, there is some good information in there, so be sure to listen to it. The former Browns quarterback may not want to be done playing in the NFL, but if teams are done with him, at least he has a plan. Whether or not he ends up as a coach is still unclear, so we will just have to wait and see.